I know I’m probably going to get stoned for saying this, but at 25, I’m starting to feel old. LOL! It sounds crazy when I say it out loud but boy is it the truth. I’m sleepier than a newborn most of the time and at one point my skin wasn’t starting to look and fee spring chicken fresh anymore. Between heavy makeup, junk food and little rest, my skin was starting to look a little rough. And don’t get me started on all of the sun damage I’m sure I’ve racked up over 25 years of not wearing sunscreen! After my stint at the Bobbi Brown counter, I’ve learned a heck of a lot about skin and how to take better care of my complexion. Since then, I’ve beefed up my skincare routine by incorporating a serum and stepping my masking game way up. Before, I used to mask just once a week with a slightly drying yet seriously effective clay or mud mask. Now, I mask almost every other day thanks to the genius Peter Thomas Roth. His Cucumber Gel Mask has literally given my skin life! I reach for the Cucumber Gel Mask whenever I sense a breakout coming or my skin is feeling a little a dry and it works like a charm every time. It’s formulated with yummy ingredients like cucumber, papaya, chamomile and pineapple to naturally nourish, soothe, calm and de-puff the appearance of skin. 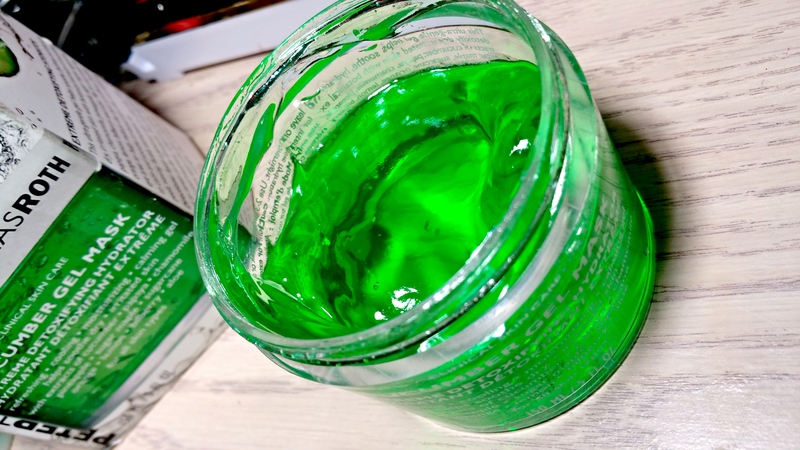 The Cucumber Gel Mask also detoxifies but it isn’t like your typical exfoliating mask though. It’s very soothing and gentle with a lightweight gel texture that quickly absorbs into the skin. Upon application, the Cucumber Gel Mask has a subtle cooling effect and cushiony grip that’s relaxing–never tight, drying or uncomfortable. It’s so gentle, in fact, that it’s safe to use around the eye area which I love. My under eyes are always so thirsty for moisture and pampering so the Cucumber Gel Mask has hit holy grail status for me. I also love how it well it tackles my minor yet majorly annoying breakouts. Take this week, for instance. I’ve been so darn busy that I forgot to include my sponges during wash day. That turned out to be a disaster because I live for blending and setting my concealer with a sponge. In a pinch, I used one of my * shudders * dirty sponges to set my concealer for work Monday morning and by Monday evening there were already bumps forming under my eyes and near my cheeks. Damn you sensitive skin! I immediately washed my face and applied the Cucumber Gel Mask overnight–my fave way to use it. When I woke up in the morning, that pesky breakout that was forming had pretty much been obliterated before it could even really begin. Can’t beat those results, right? My skin has never truly been “problematic” so I can’t really speak on how well this may work, for say, an oily gal with acne troubles. 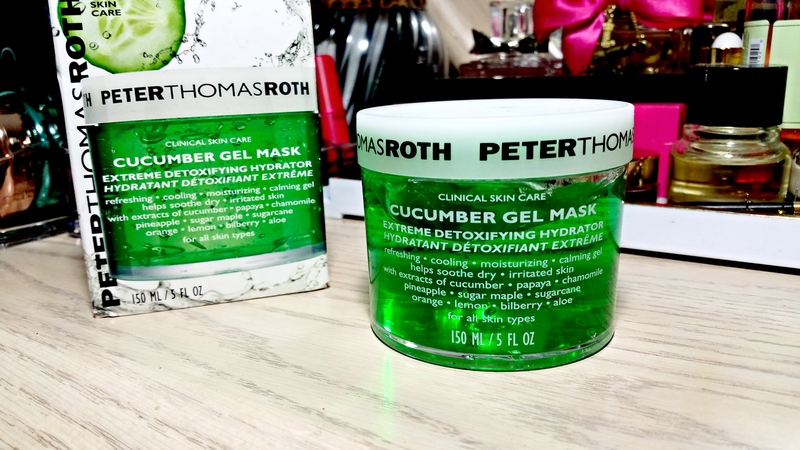 However, if you have dry, sensitive skin, I highly recommend heading to your local Ulta or Sephora and asking for a sample of the Peter Thomas Roth Cucumber Gel Mask.